Spaces of Global Capitalism. 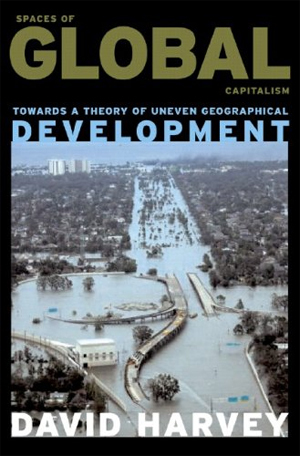 Towards a Theory of Uneven Geographical Development is an essential introduction to the field of historical geography, which offers a radical new way of understanding global capitalism. Fiscal crises have cascaded across much of the developing world with devastating results, from Mexico to Indonesia, Russia and Argentina. The extreme volatility in contemporary political economic fortunes seems to mock our best efforts to understand the forces that drive development in the world economy. 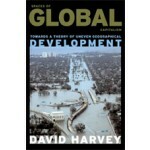 David Harvey is the single most important geographer writing today and a leading social theorist of our age, offering a comprehensive critique of contemporary capitalism. In this fascinating book, he shows the way forward for just such an understanding, enlarging upon the key themes in his recent work: the development of neoliberalism, the spread of inequalities across the globe, and 'space' as a key theoretical concept. Both a major declaration of a new research programme and a concise introduction to David Harvey's central concerns, this book will be essential reading for scholars and students across the humanities and social sciences.